Wiederhold, Kummerlen & Waronicki, P.A. are South Florida and Treasure Coast based trial lawyers with over 75 years of combined experience litigating all types of civil cases, with emphasis in the areas of personal injury, wrongful death, transportation, civil rights, and insurance coverage litigation. We work with business people every day and understand how important your cases are for the success of your business. We pride ourselves on keeping clients fully informed throughout the litigation process, and as a result we have formed lasting relationships with our clients of all sizes. We invite you to see for yourself why so many clients have trusted Wiederhold, Kummerlen & Waronicki to deliver the results they need. Wiederhold, Kummerlen & Waronicki, P.A. was founded in 1983 by John P. Wiederhold with a vision of providing businesses and individuals with professional and cost effective solutions for their litigation needs. Our attorneys have successfully litigated thousands of cases throughout the state of Florida, and are licensed to practice in all state and federal courts in Florida as well as the Eleventh Circuit Court of Appeals and the United States Supreme Court. From our offices located in West Palm Beach and Stuart, our attorneys have litigated matters ranging from products liability to catastrophic personal injuries. Our successes for our clients have led to us being selected as local counsel for large national companies involved in complex litigation in Florida. 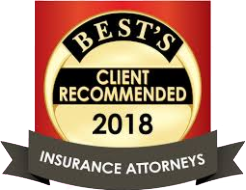 We have significant expertise in the area of insurance coverage litigation and allegations of bad faith and have represented some of the most established insurance companies in the region. Our attorneys strive to provide clients with solutions to the myriad of issues that they face in the course of their life and business. Some can be handled quickly, but some issues require litigation. We are prepared to rise to any challenge, and with our trial experience we are confident that we can achieve a successful result on behalf of our client. We welcome you to our website and invite you to peruse this site and become better acquainted with who we are and what we do. If you need a team of experienced trial lawyers on your case please give us a call for a free initial consultation and allow us to show you what has kept our clients coming back to us for the last three decades. Contact us online or call our office at (561) 615-6775 for your free initial consultation today. © 2019 Wiederhold, Kummerlen & Waronicki. All rights reserved.